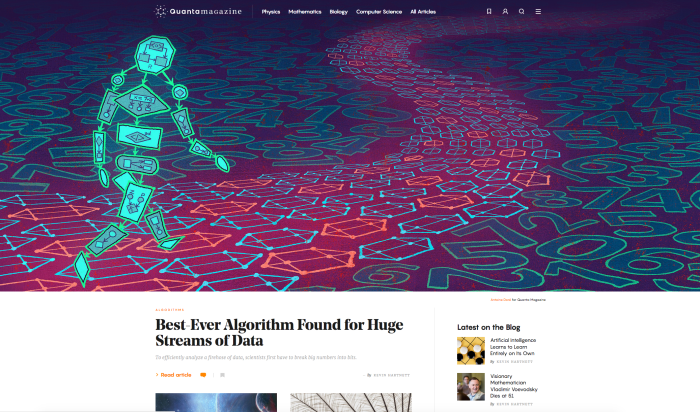 Antoine Dore | Best-Ever Algorithm For Quanta Magazine! Loving this new piece that ANTOINE DORÉ just completed for Quanta Magazine! “The article is called Best-Ever Algorithm Found for Huge Streams of Data” – To efficiently analyze a firehose of data, scientists first have to break big numbers into bits. To give you a little bit about the article about the “best-ever algorithm, “this best-in-class streaming algorithm works by remembering just enough of what it’s seen to tell you what it’s seen most frequently. It suggests that compromises that seemed intrinsic to the analysis of streaming data are not actually necessary. 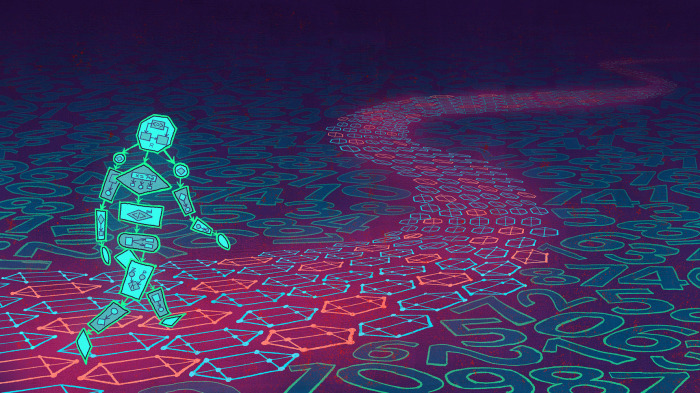 It also points the way forward to a new era of strategic forgetting.” It talks about trend spotting, small data and building blocks – it’s all about the numbers! Check it out of this interests you, it’s a very neat article!